Thursday July 26th from 10:00am to 4:00pm at the Wamego office. Preferably by appointment, but walk-in’s accepted. A parent does NOT have to be present but must send a signed consent to examine form along with the filled out and signed physical history portion of the physical evaluation form with student. 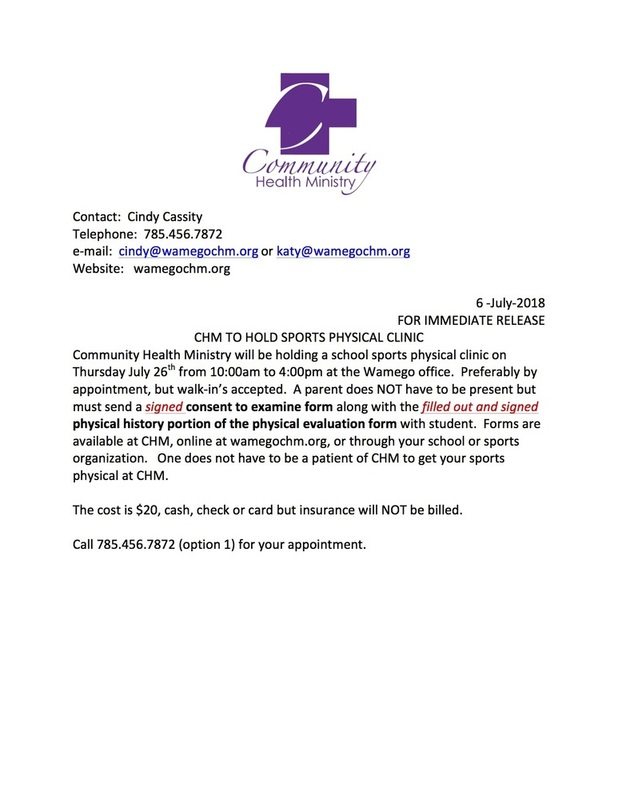 Forms are available at CHM, online at wamegochm.org, or through your school or sports organization. One does not have to be a patient of CHM to get your sports physical at CHM. The cost is $20, cash, check or card but insurance will NOT be billed. Call 785.456.7872 (option 1) for your appointment.